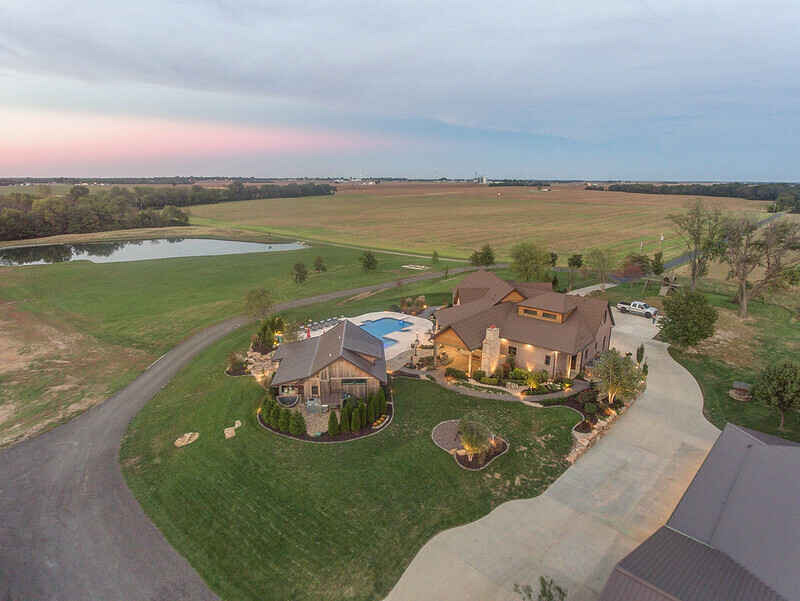 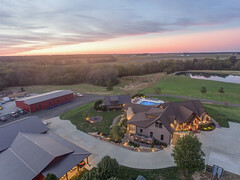 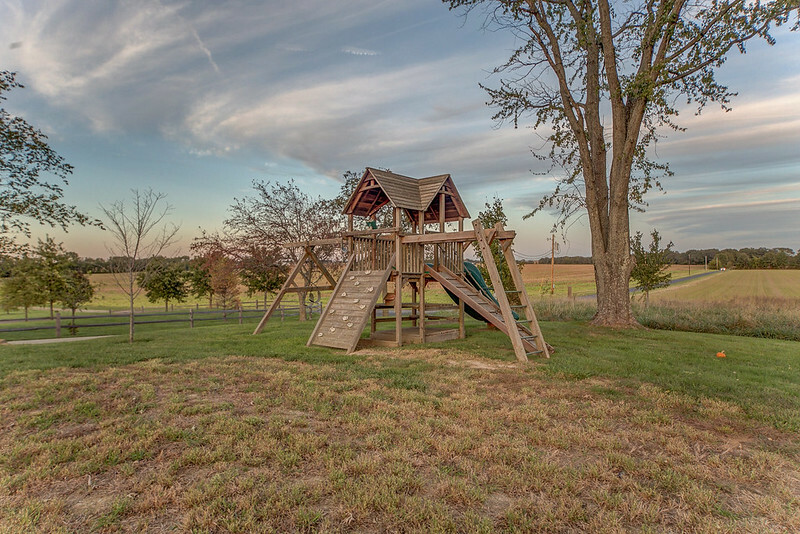 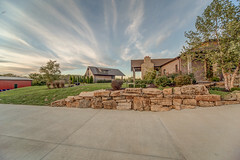 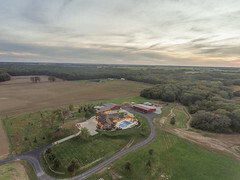 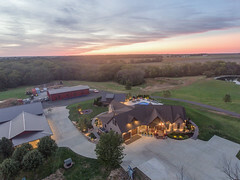 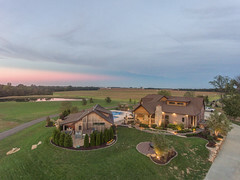 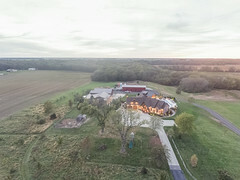 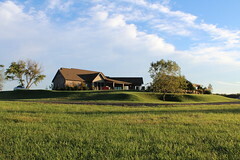 Looking for a dream home with land to play on? 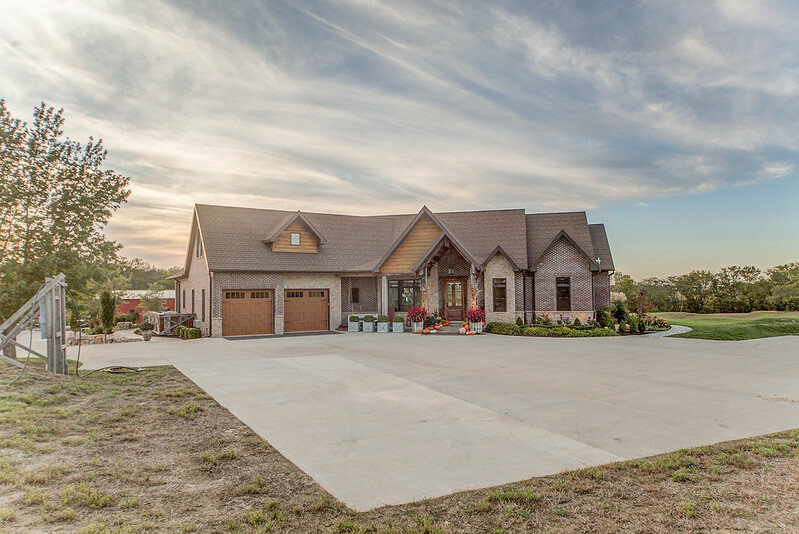 Skip the work of designing and fretting over every detail, this contemporary home is ready to move in and enjoy for years to come. 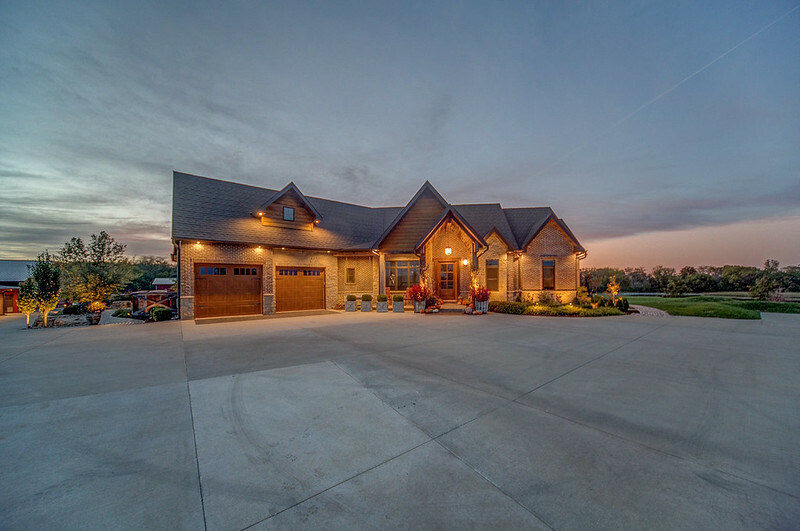 Built in 2014, the five bedroom, five bath brick home is finished with all the details to make this the perfect dream home. 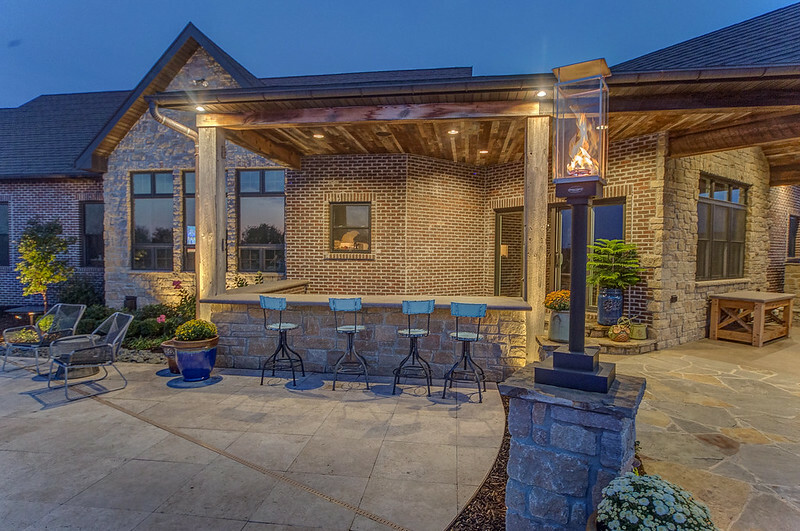 The outside is beautifully landscaped with plants and accent lighting for a stunning look day or night. 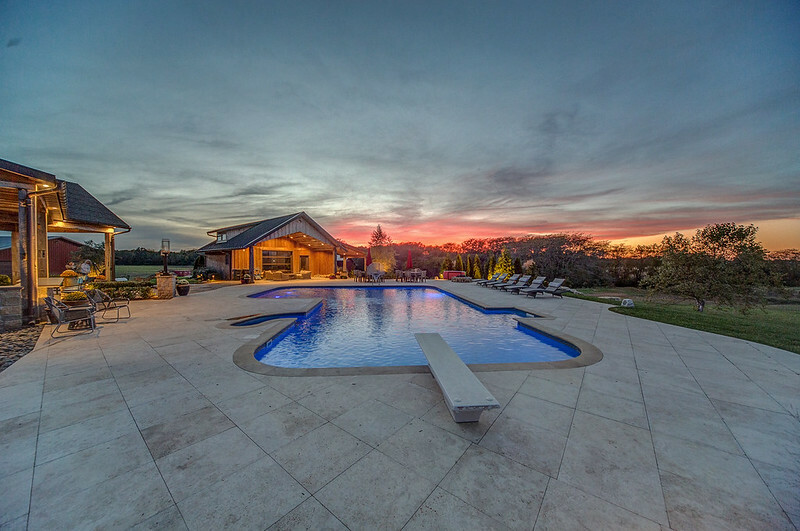 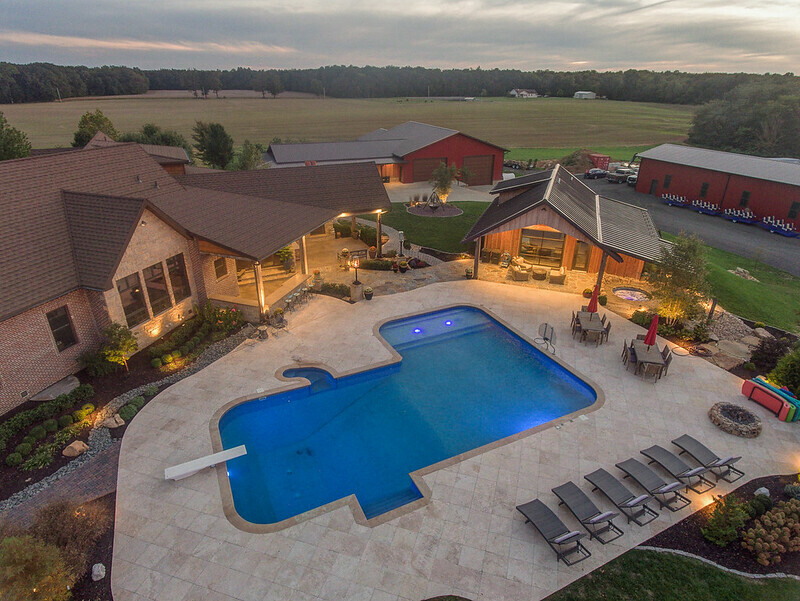 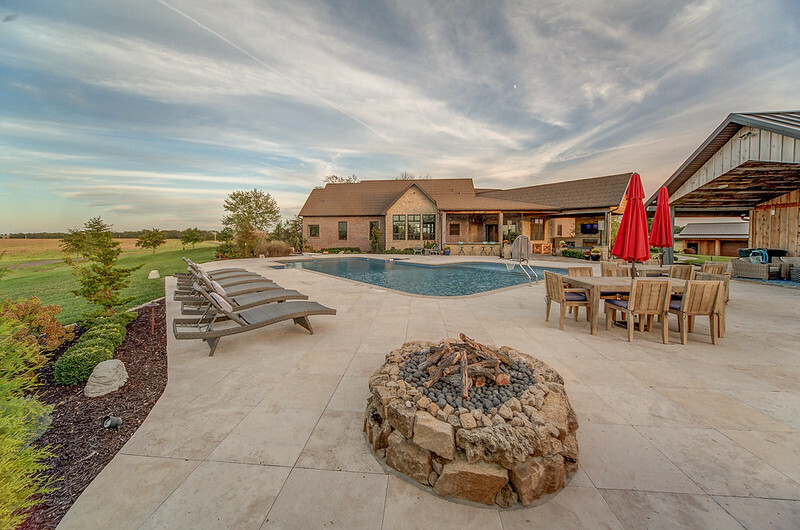 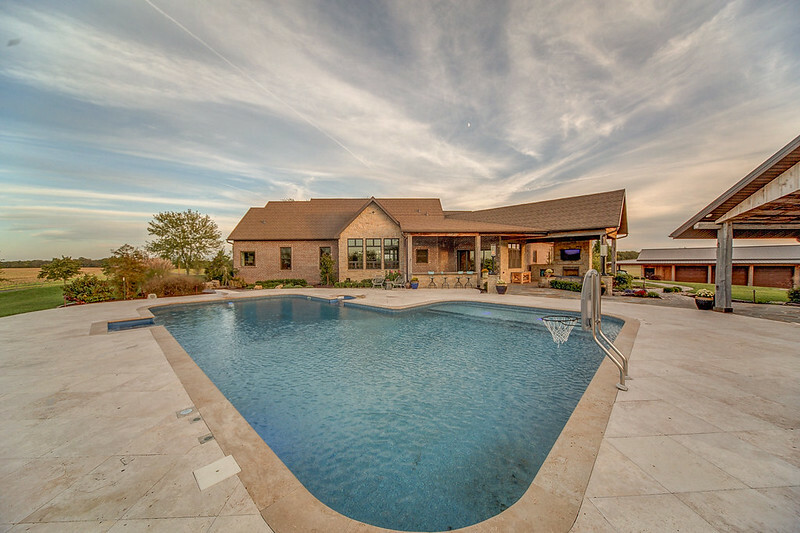 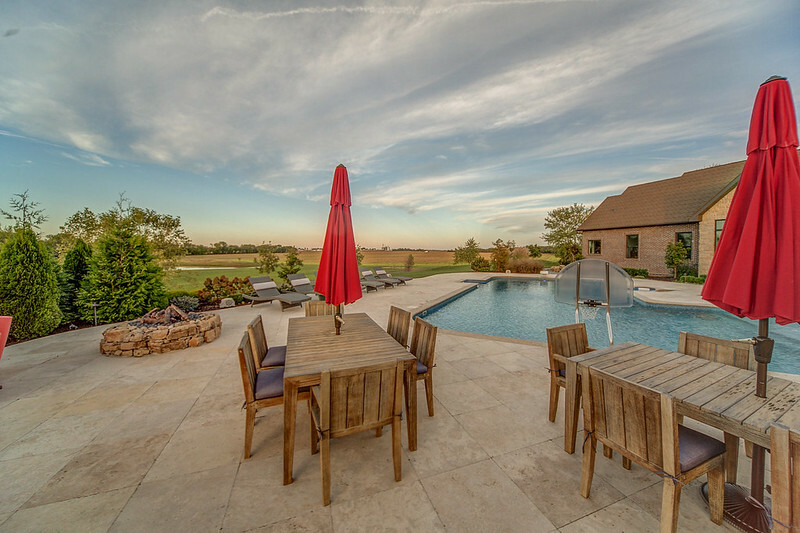 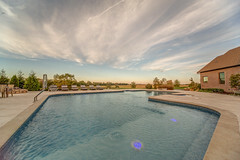 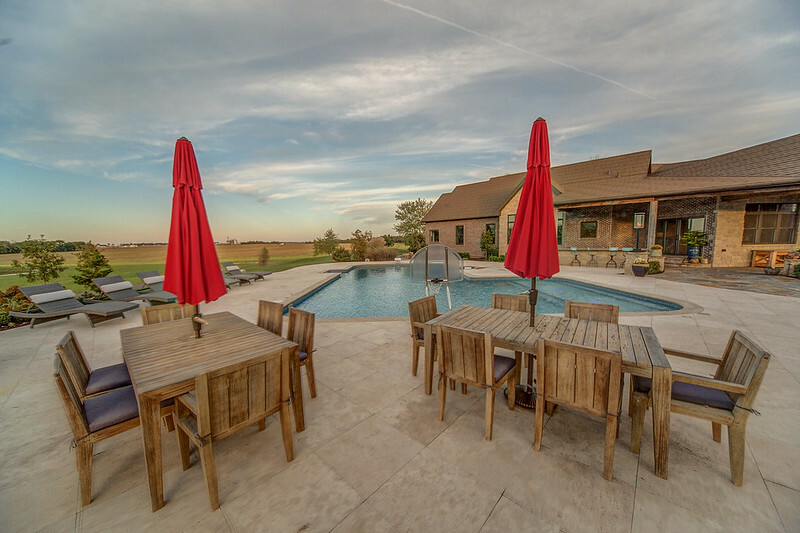 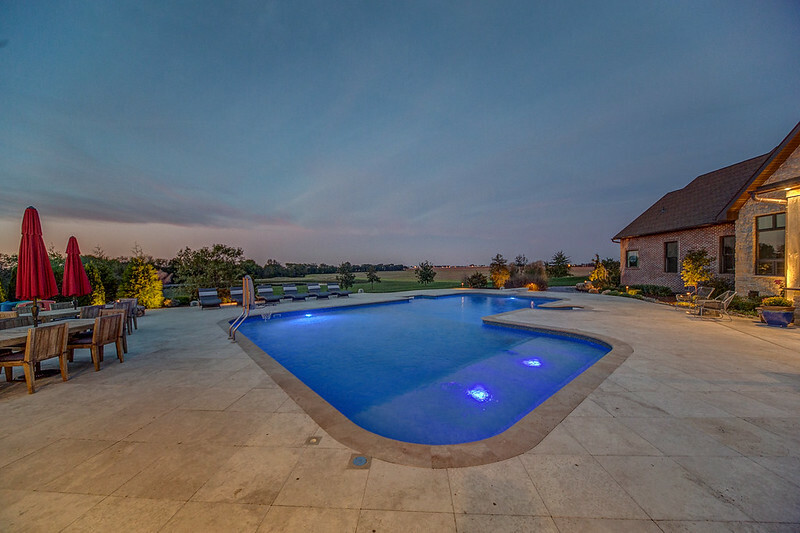 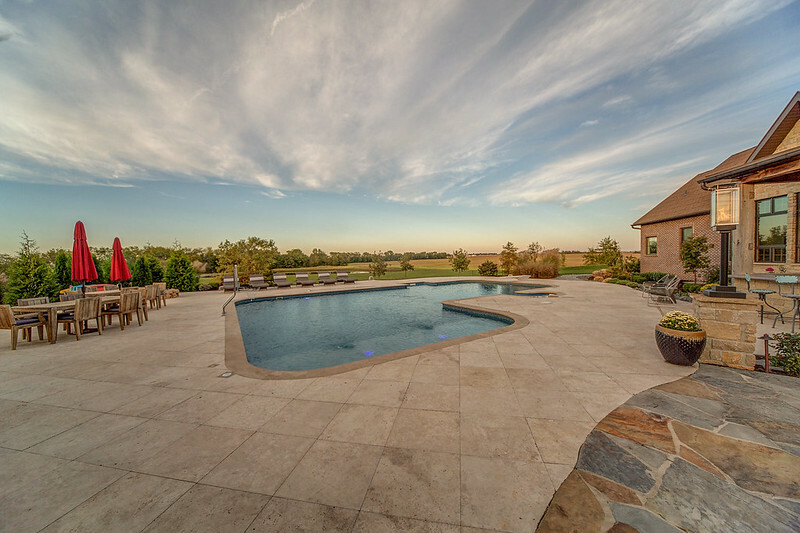 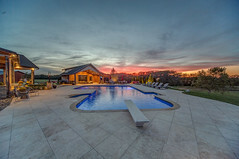 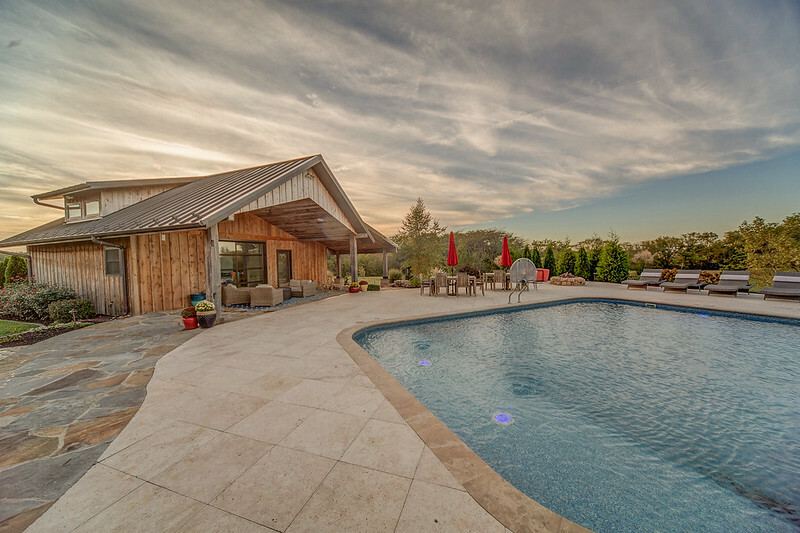 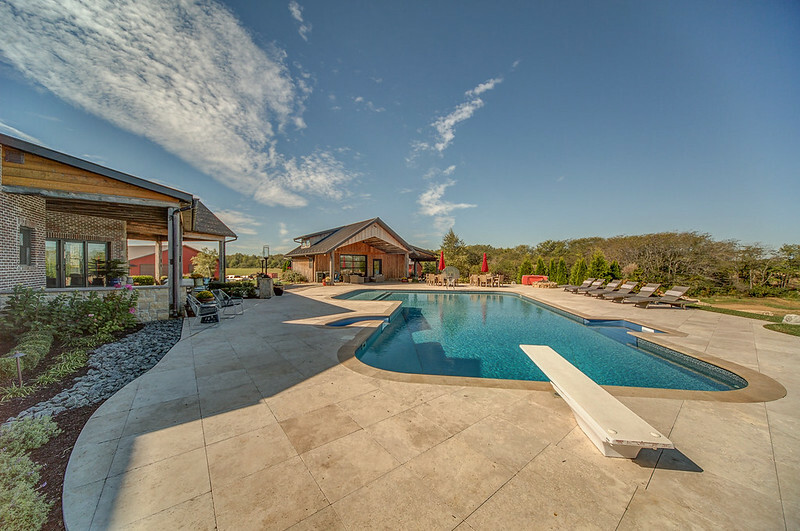 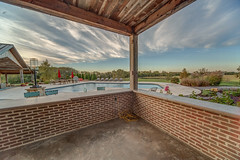 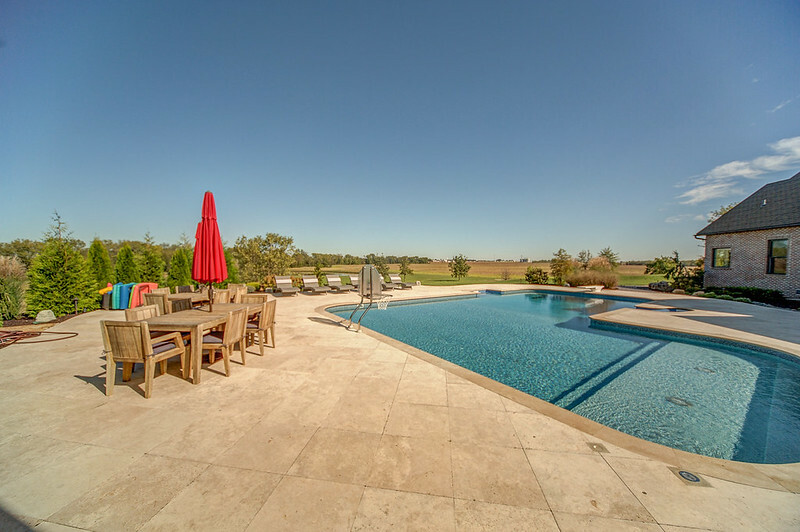 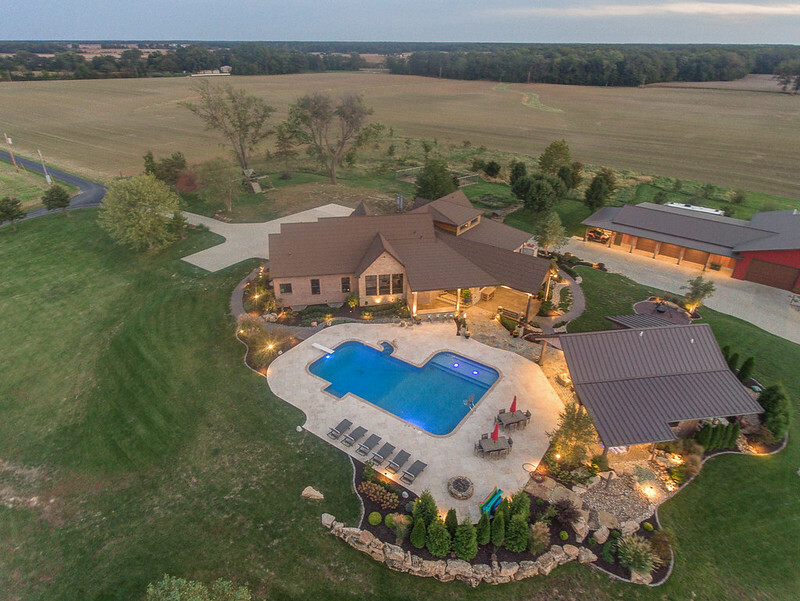 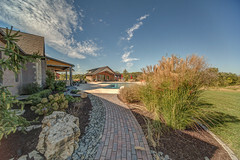 A large salt water pool surrounded with travertine tiles is located where you can easily entertain comfortably from the home or the pool house. The pool house has a glass garage door to open up during use. 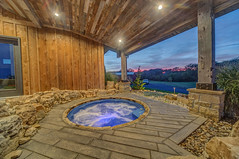 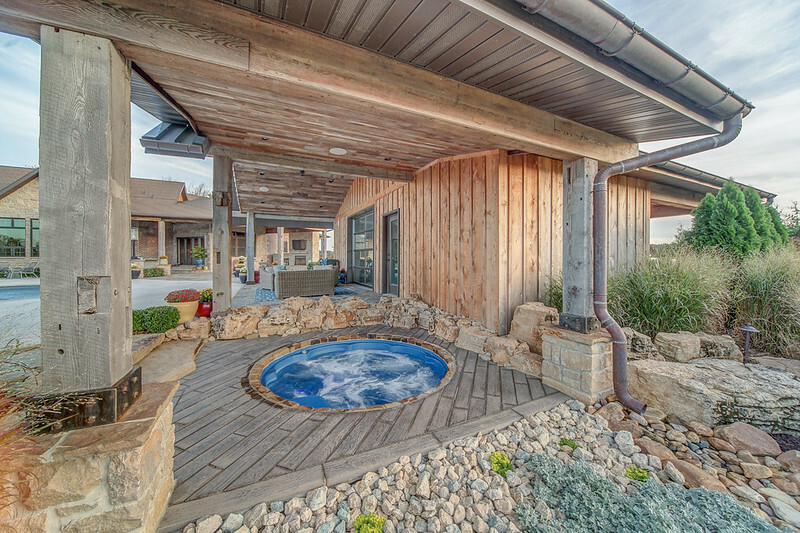 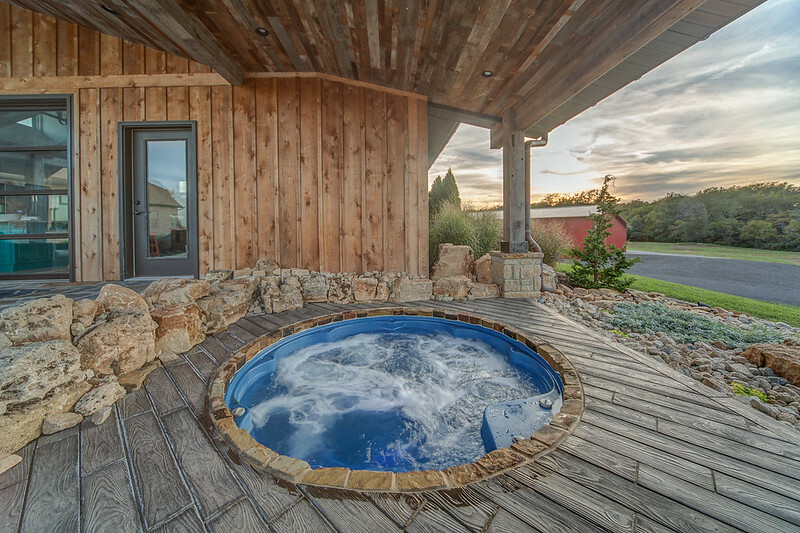 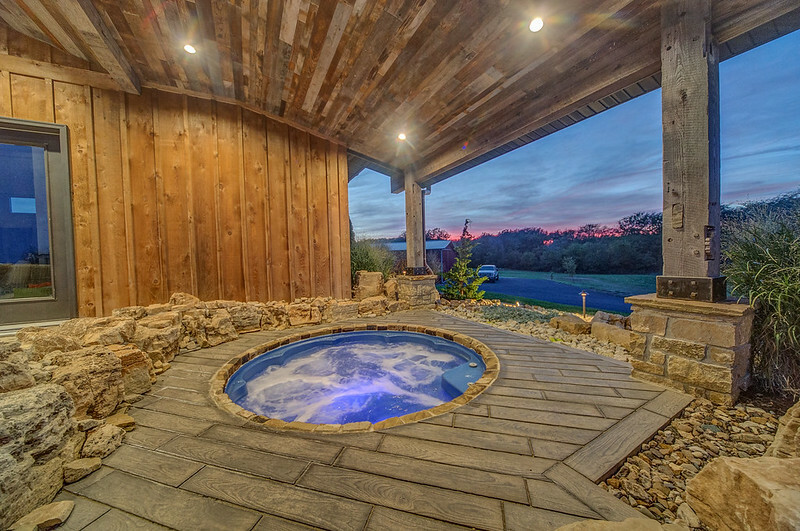 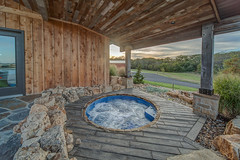 The hot tub, inset with faux wood ceramic tiles, is perfectly set to overlook the private setting with views of the lake. 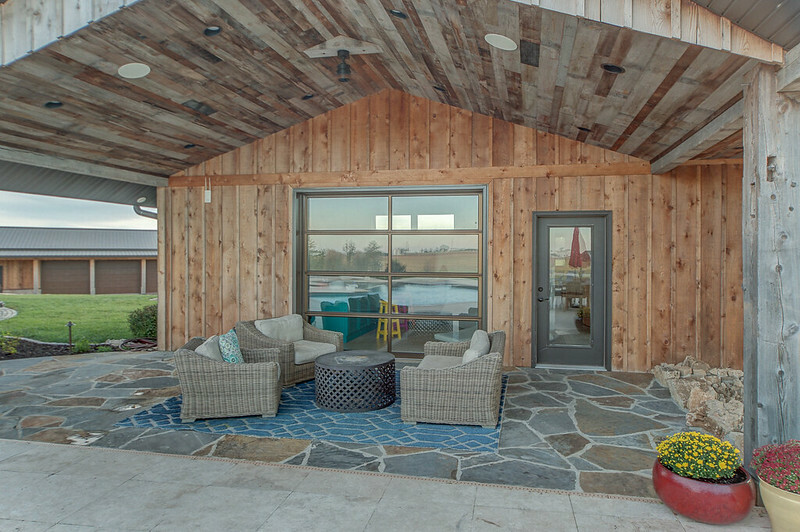 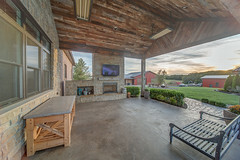 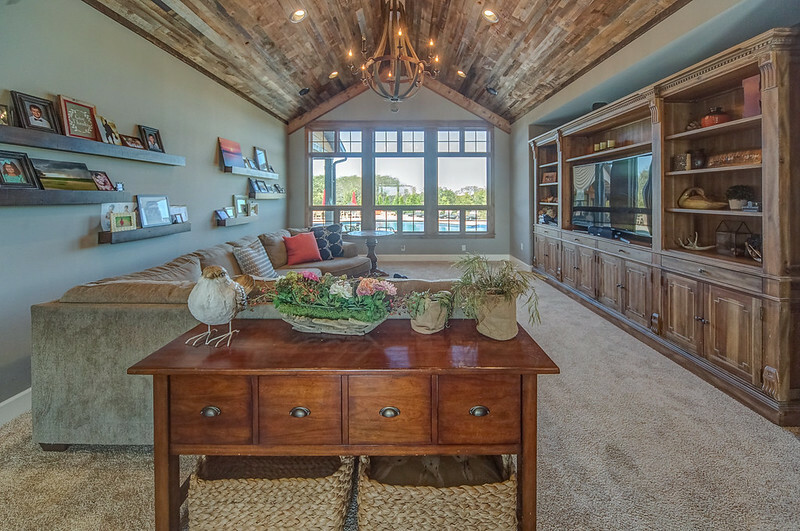 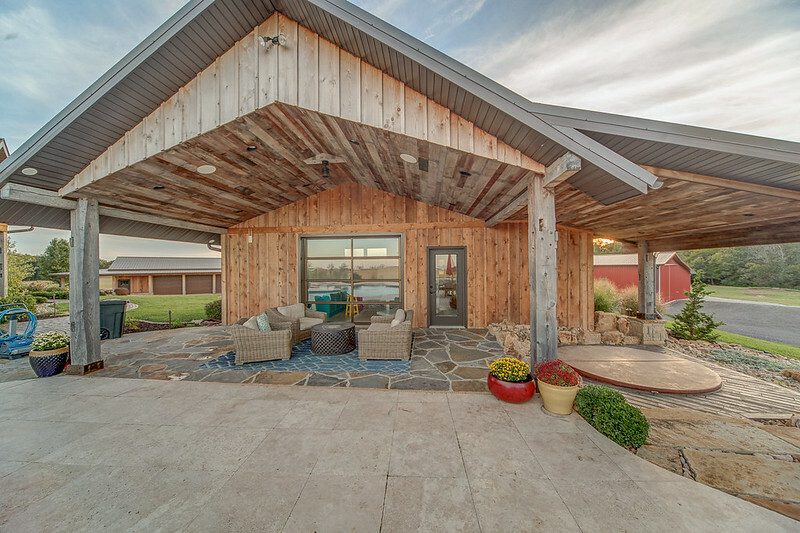 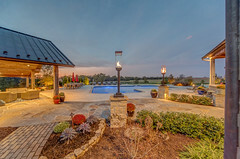 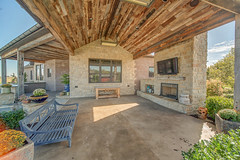 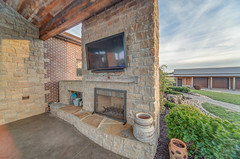 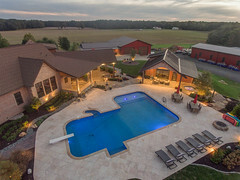 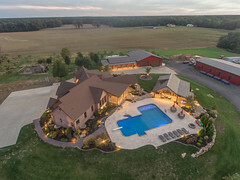 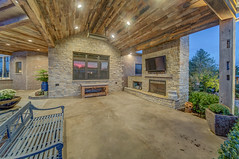 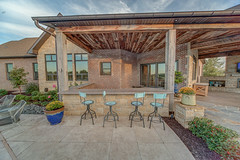 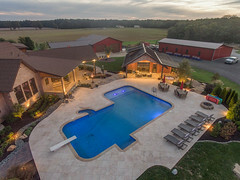 There is plenty of room to entertain or relax around the pool, at the hot tub, by the gas fire pit, in the covered sitting area under the pool house porch, at the bar behind the home or in the cozy open covered porch with fireplace & television. 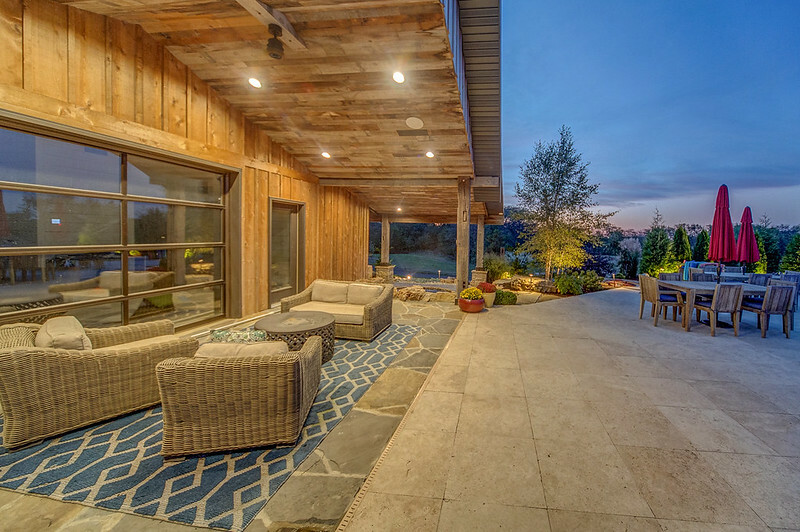 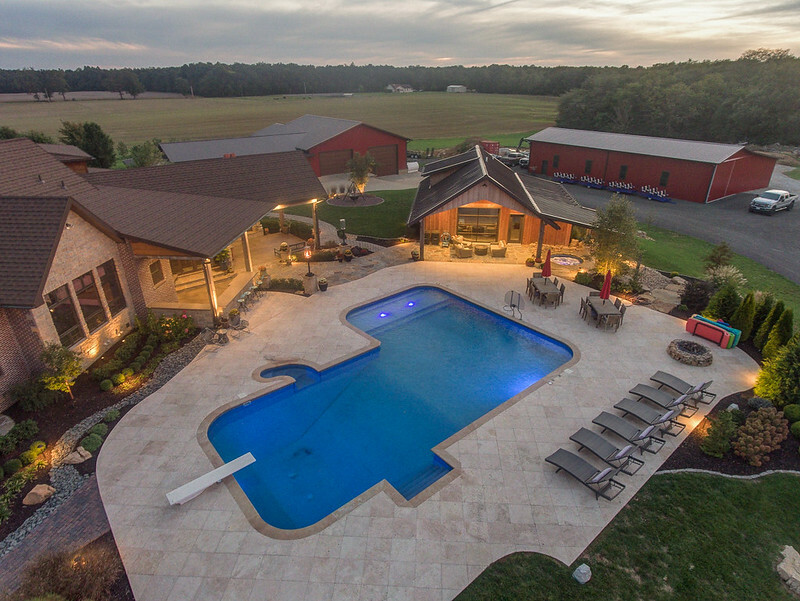 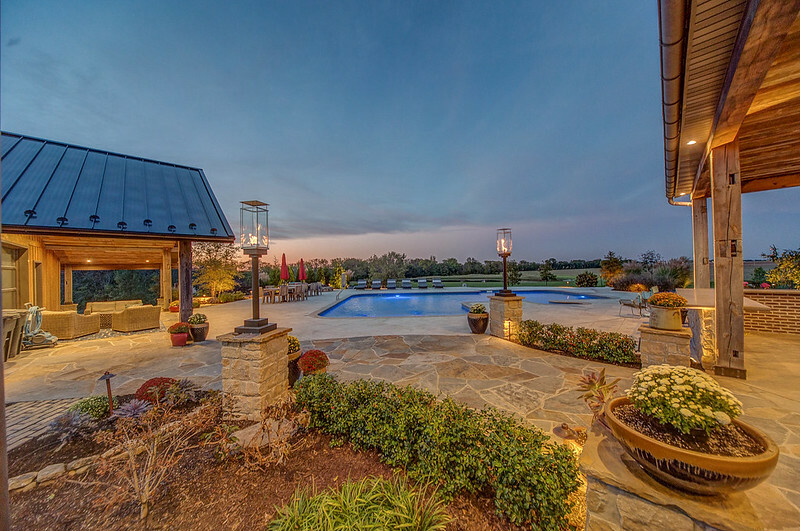 When the sun goes down, the gas torches and landscape lighting provide a perfect evening setting. 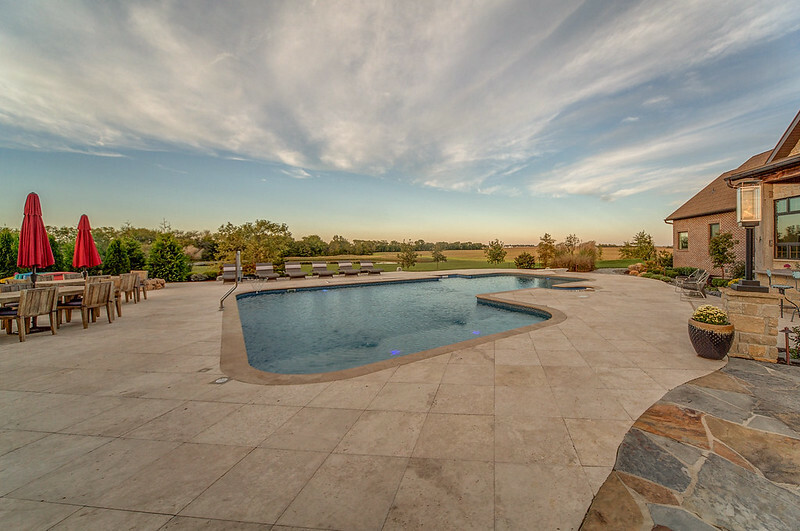 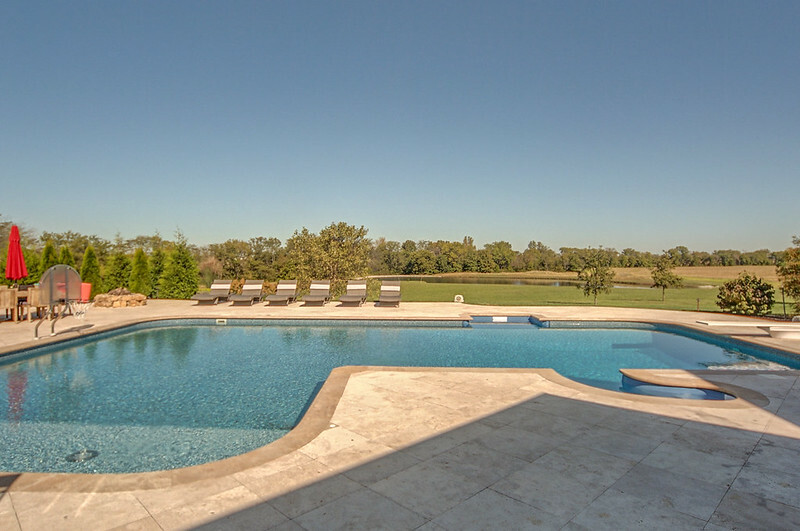 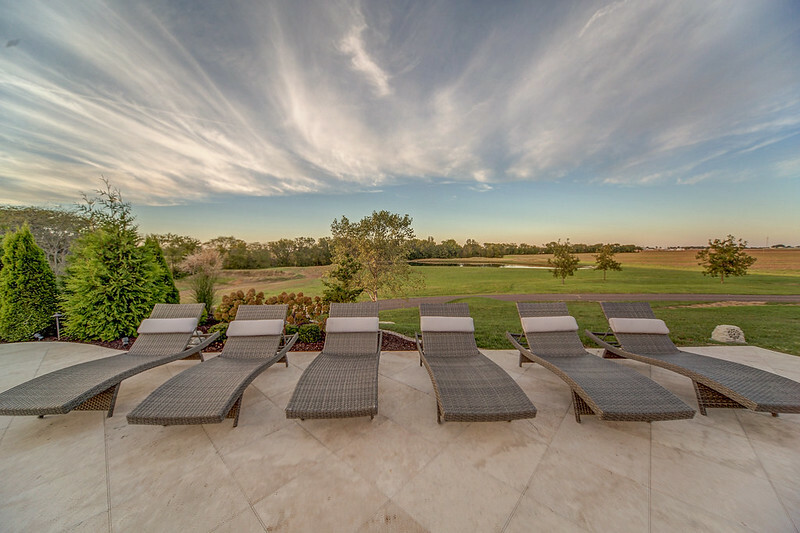 Ideal property for entertaining a crowd or enjoying as your own private oasis. 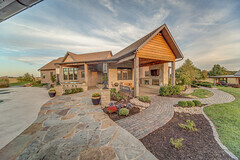 Home is built with materials and details that give the home comfort and style that could be found in magazines. 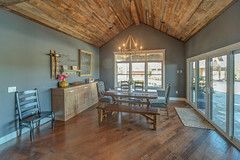 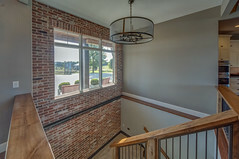 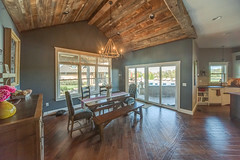 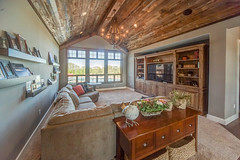 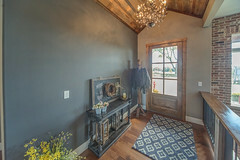 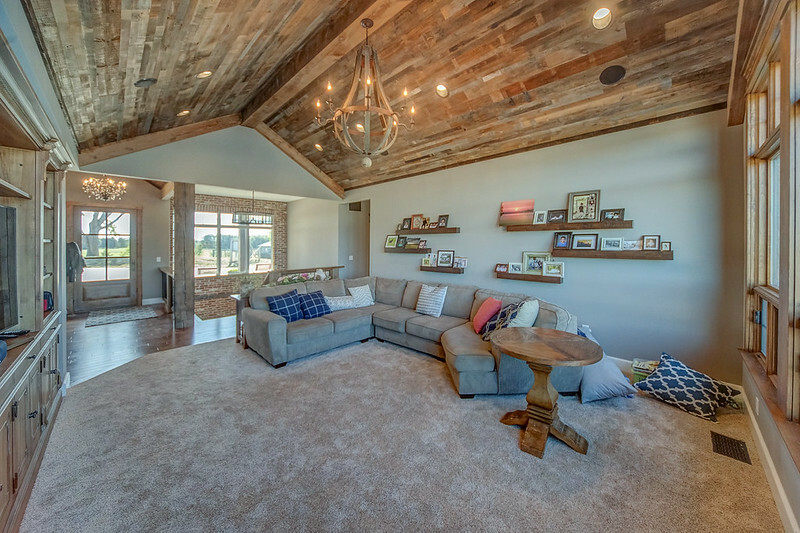 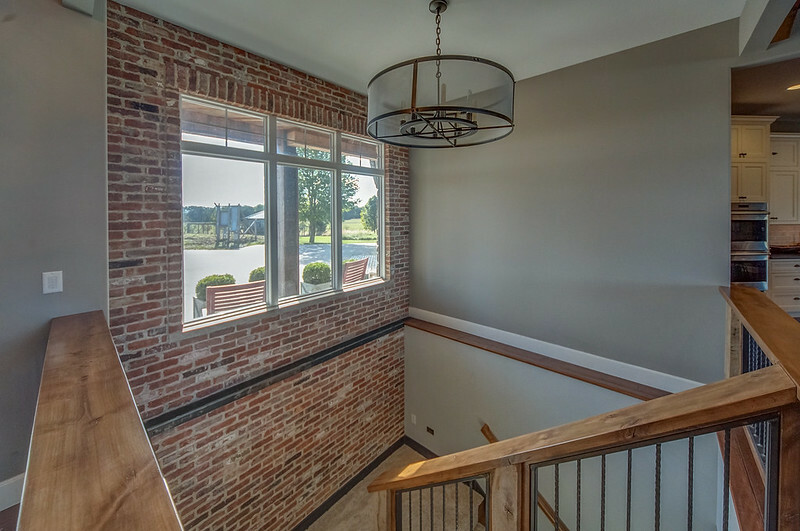 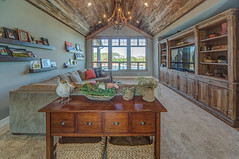 The reclaimed wood that is used for the vaulted ceilings, the weathered wood columns, exposed brick and hints of metal all add to a comfortable style. Additionally, all the detail in lighting was also given to the inside of the home. 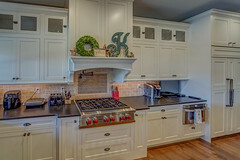 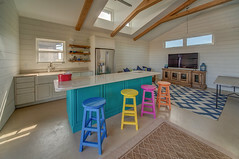 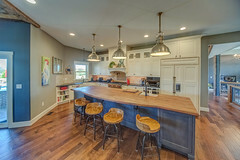 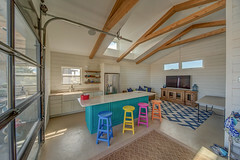 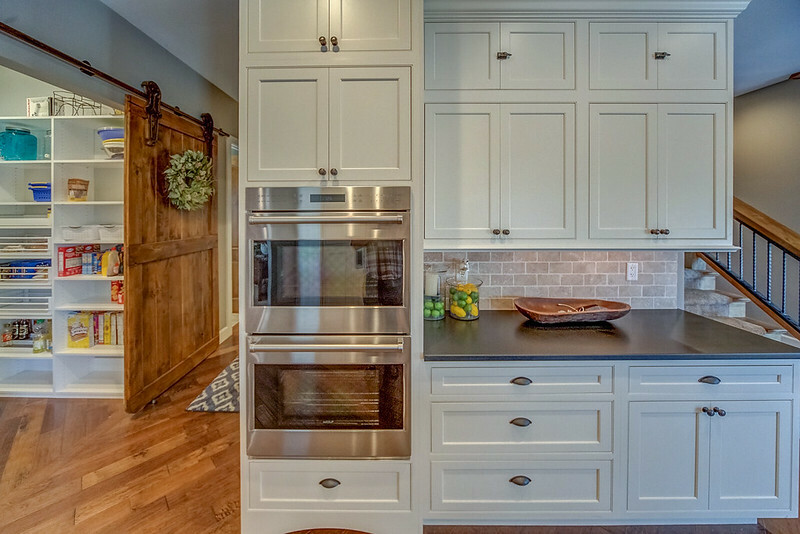 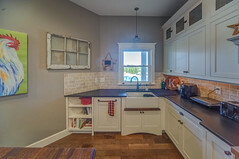 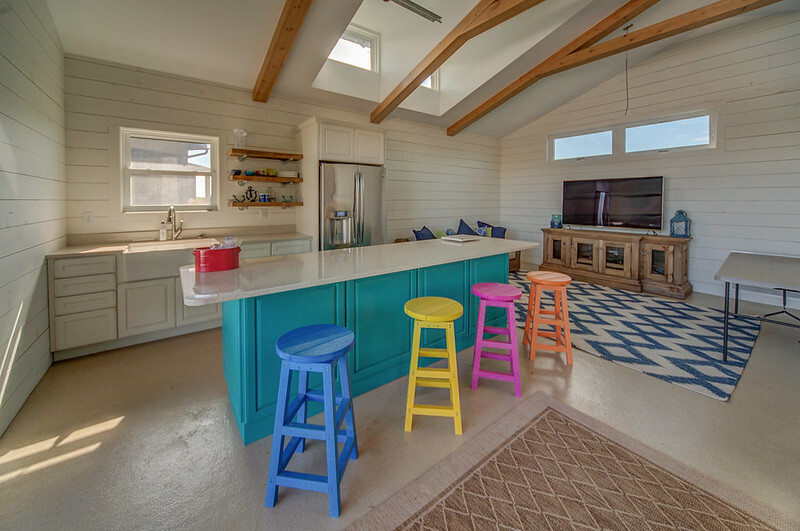 The kitchen lives up to being the heart of the home with an 18-foot long butcher block island that one could almost have an army help prepare the meal at. The kitchen boasts two farmhouse porcelain sinks, Wolf gas stove top with a pot filler faucet, a subzero refrigerator, and a double oven. 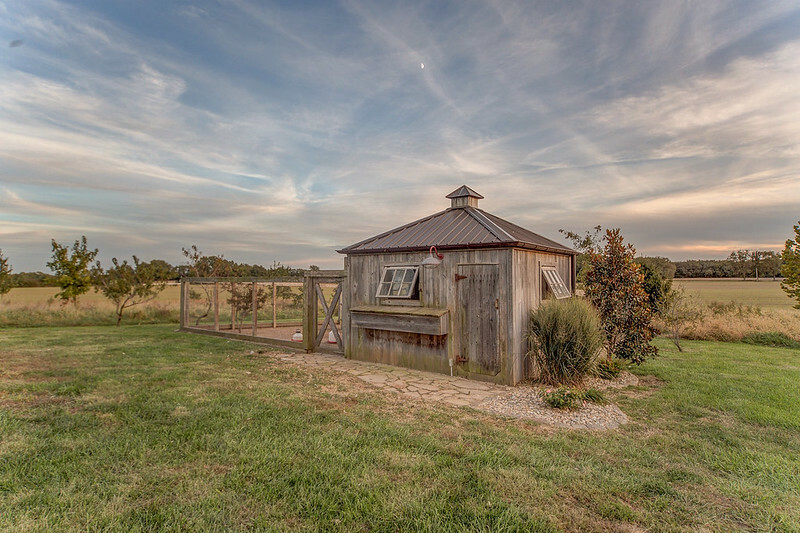 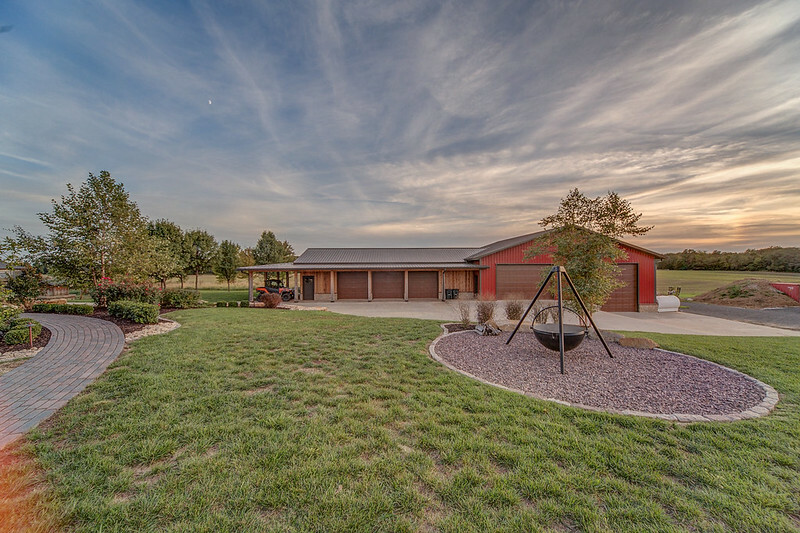 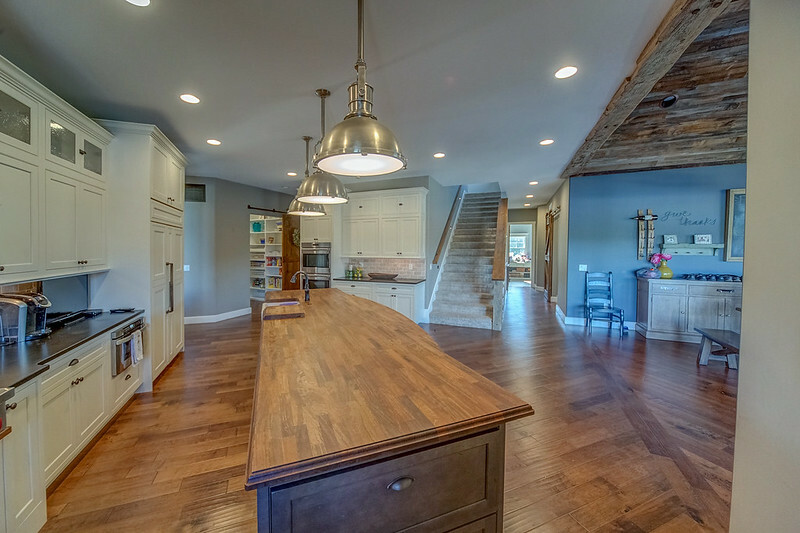 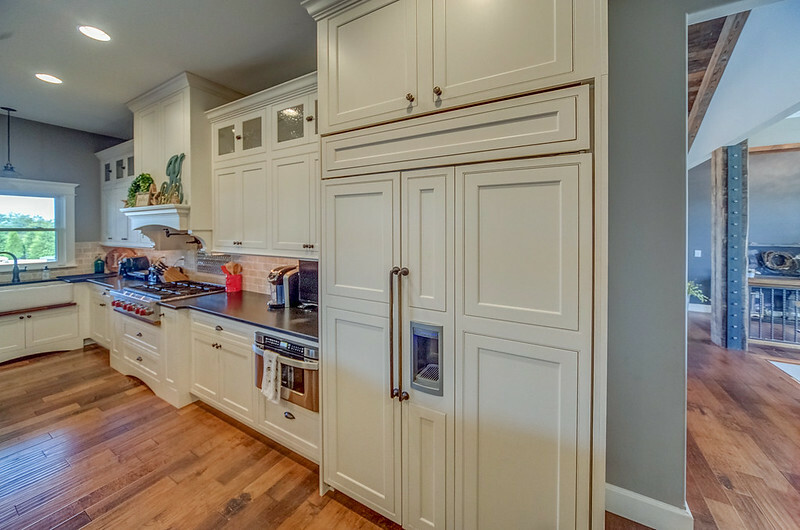 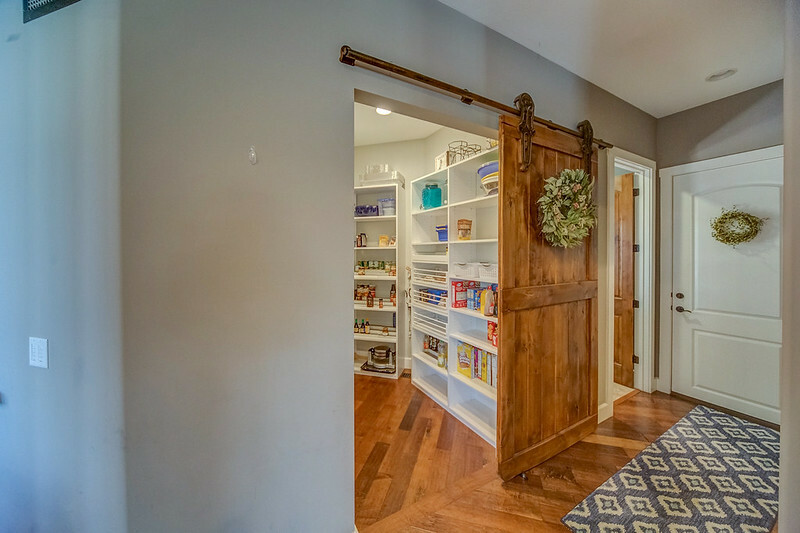 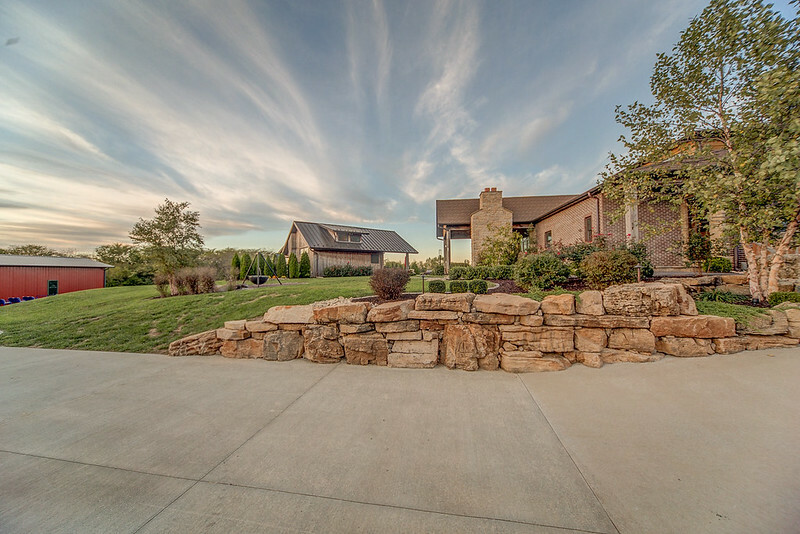 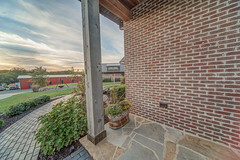 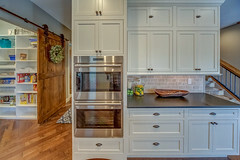 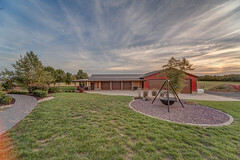 There is a sizeable walk-in pantry that is hidden with a custom barn door. 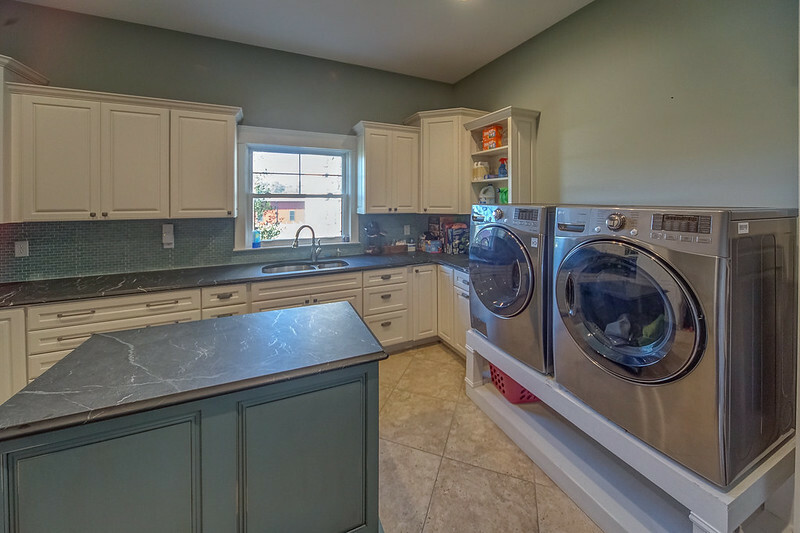 The main floor laundry is also a dream as it filled with counter tops and cabinetry. 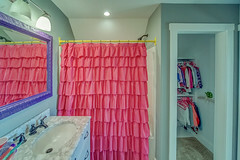 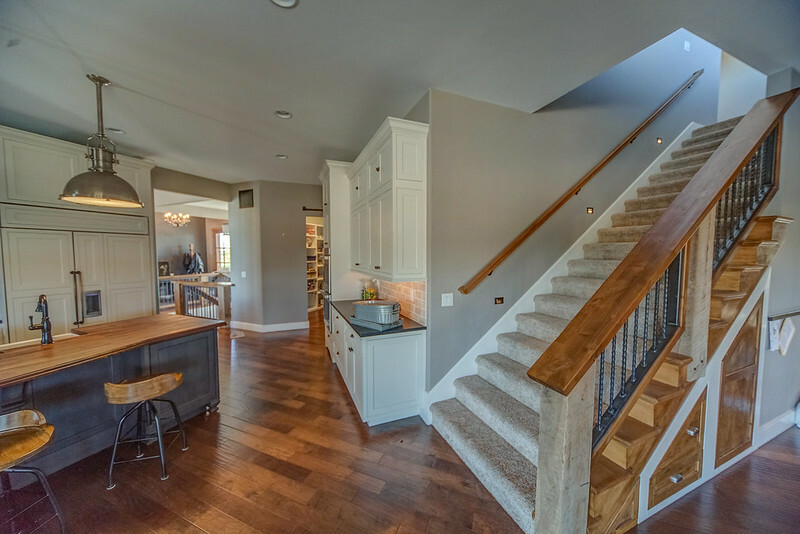 On the main level are two mudrooms and three bathrooms, including the master suite. 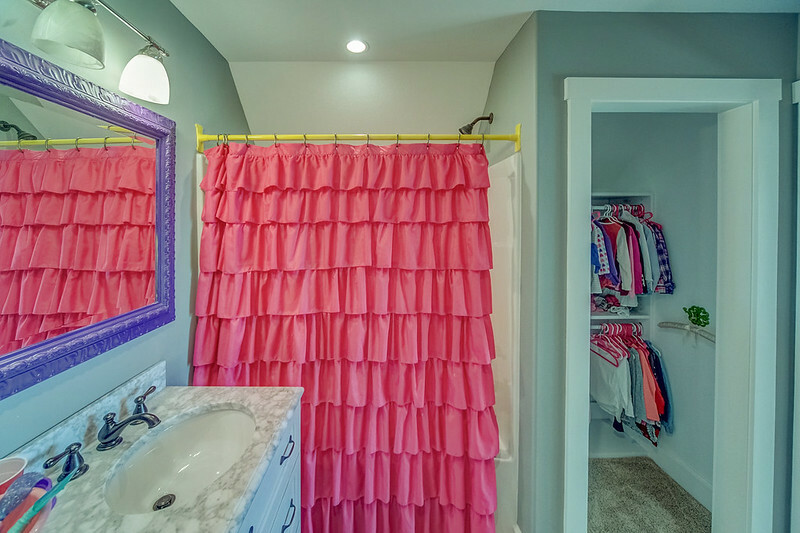 The main level master suite has a large bathroom finished in a crisp white finish with separate tub and shower plus a walk-in closet with shelving. 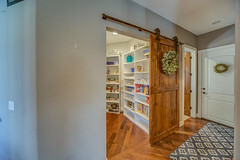 Across from the master suite is the perfect place for an office or craft room with plenty of built-in shelving. 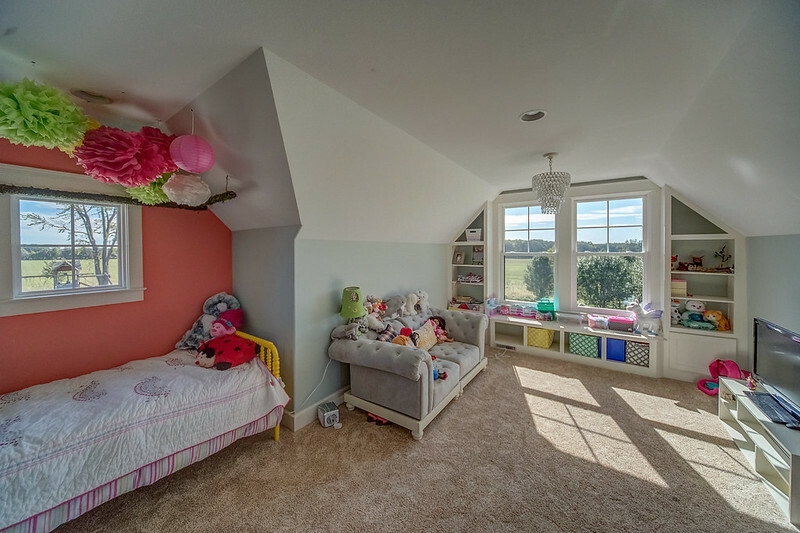 The upstairs of this story and a half home is a bedroom with a great view and built-in shelving and a private bathroom. 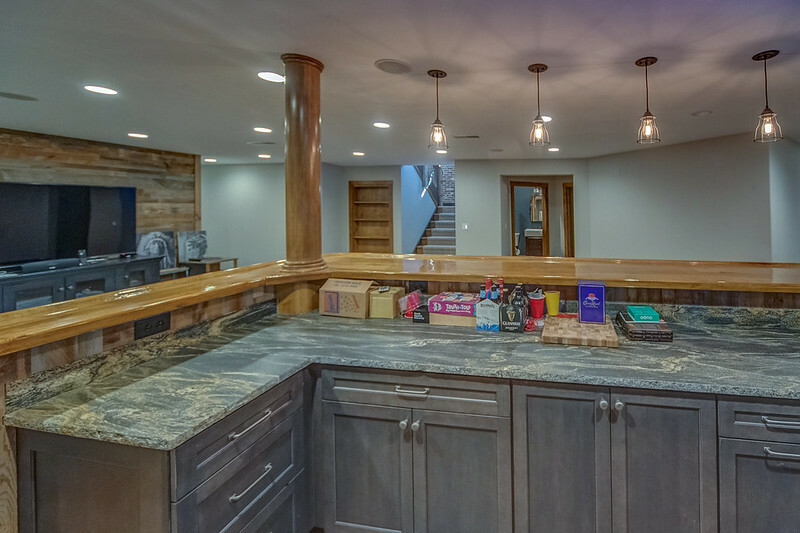 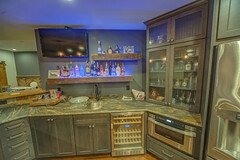 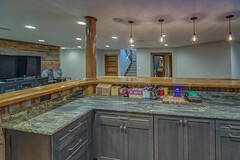 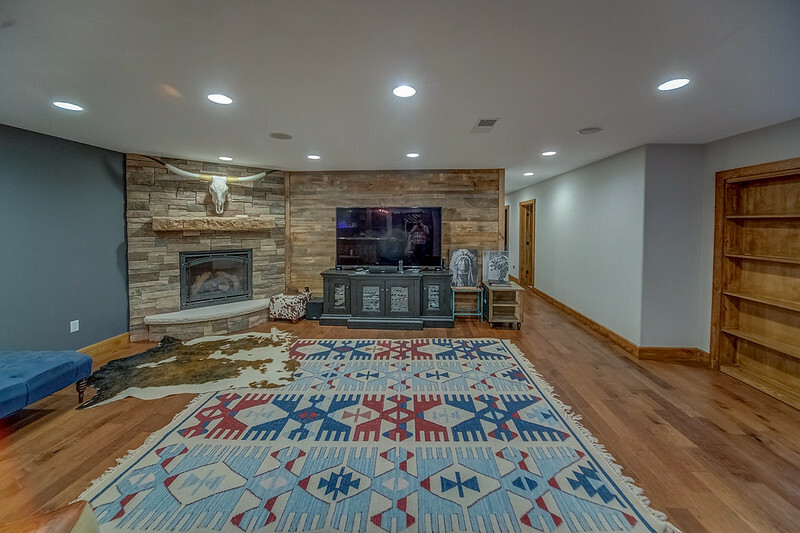 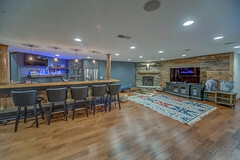 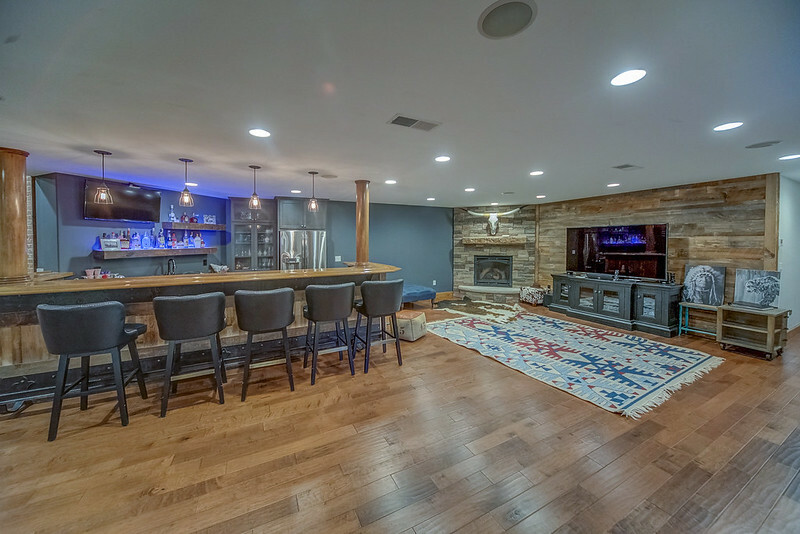 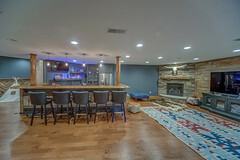 The basement of the home is set to entertain a crowd with a beautiful custom bar with granite counter tops set in a large room with a fireplace. 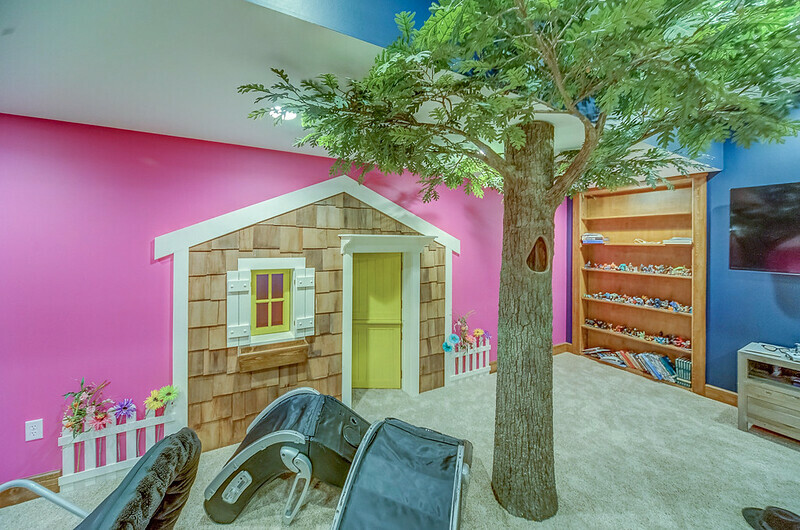 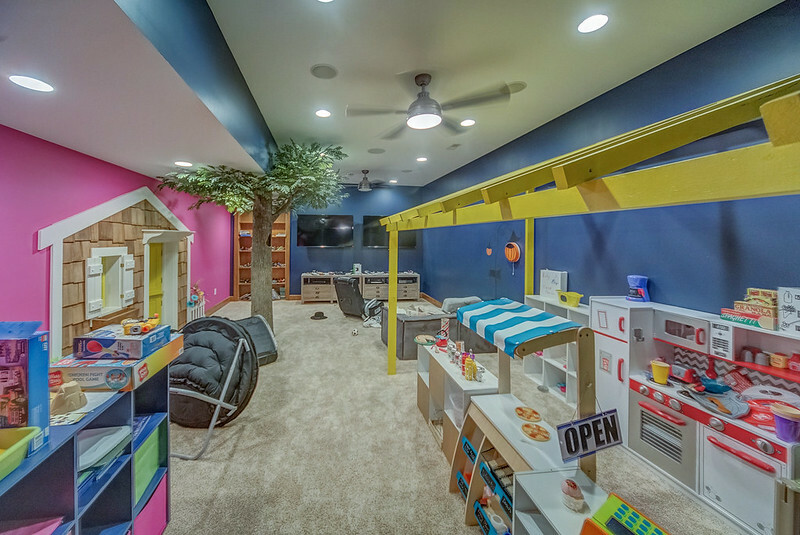 There is a playroom for the kids right off of this space. 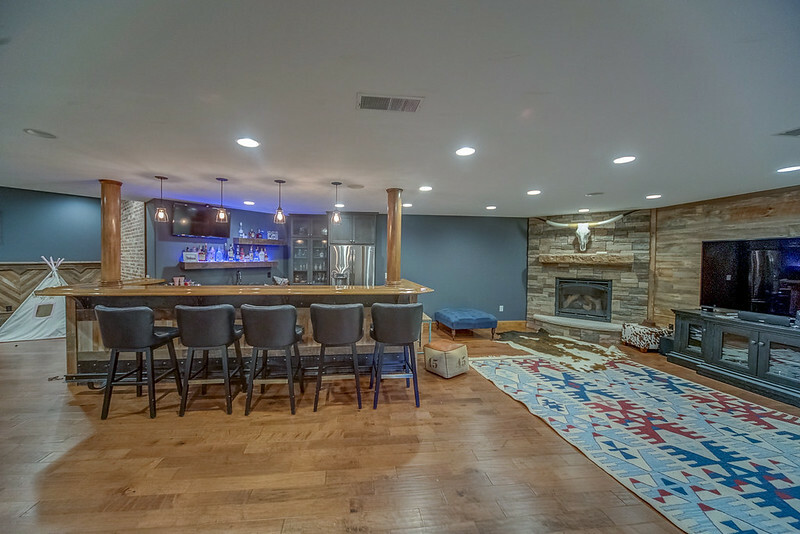 The basement also has three bedrooms, two bathrooms, and a laundry room. 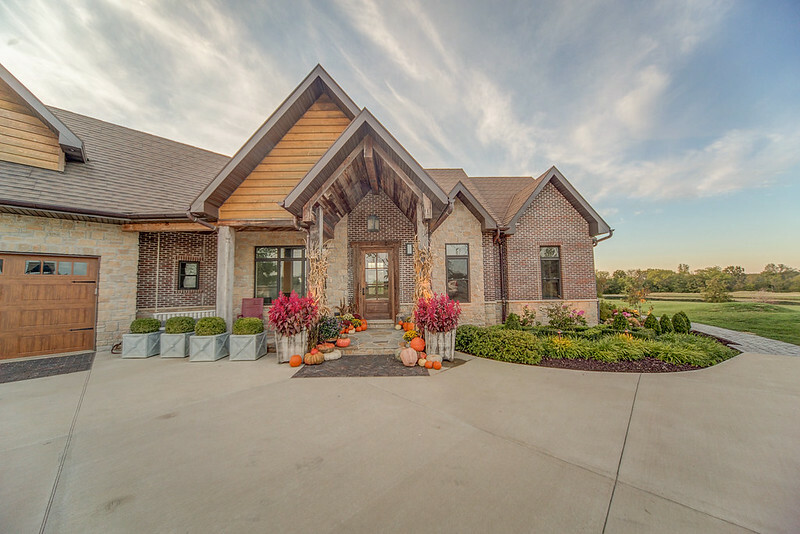 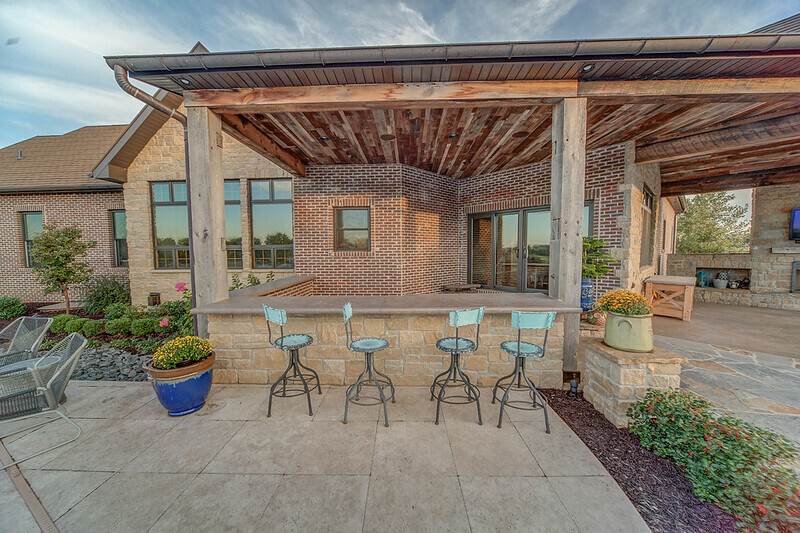 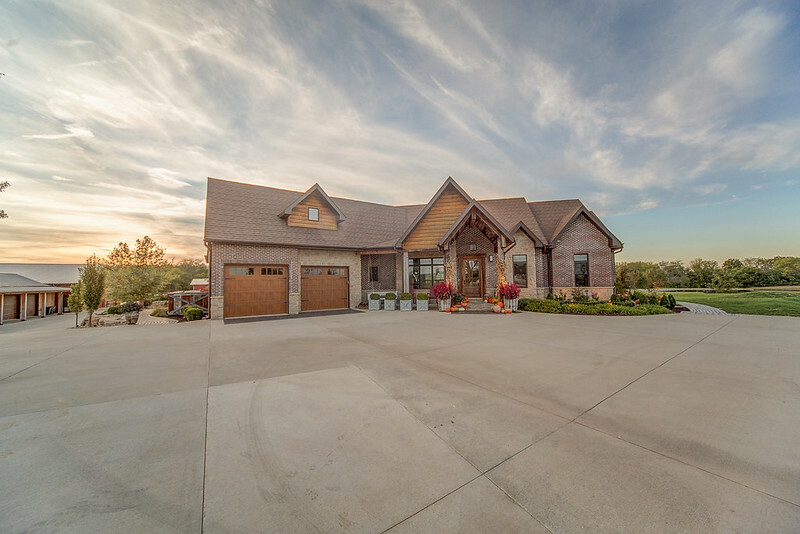 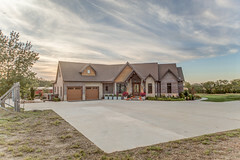 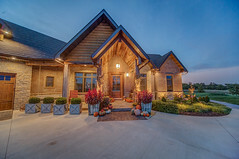 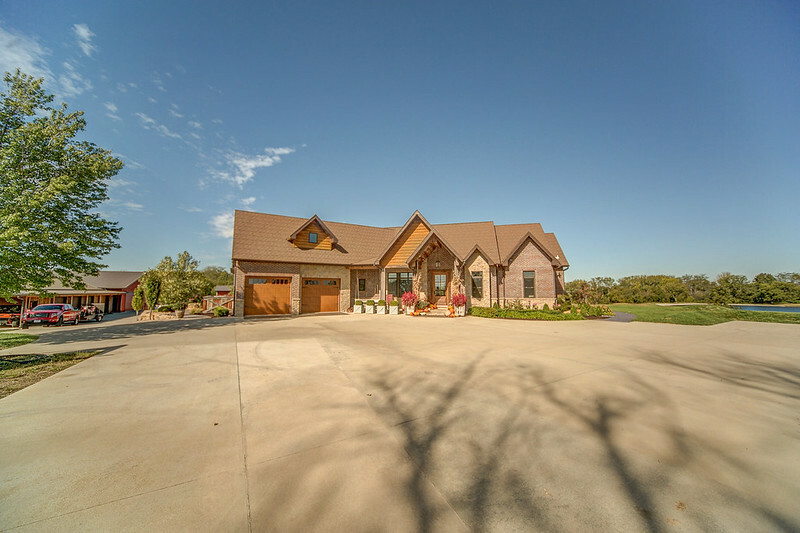 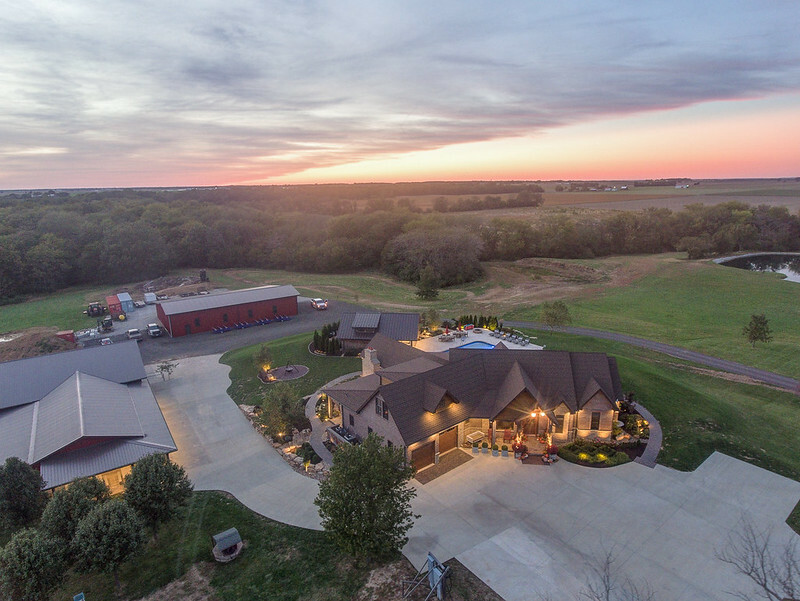 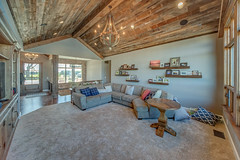 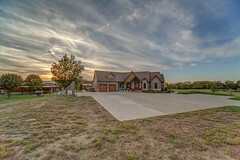 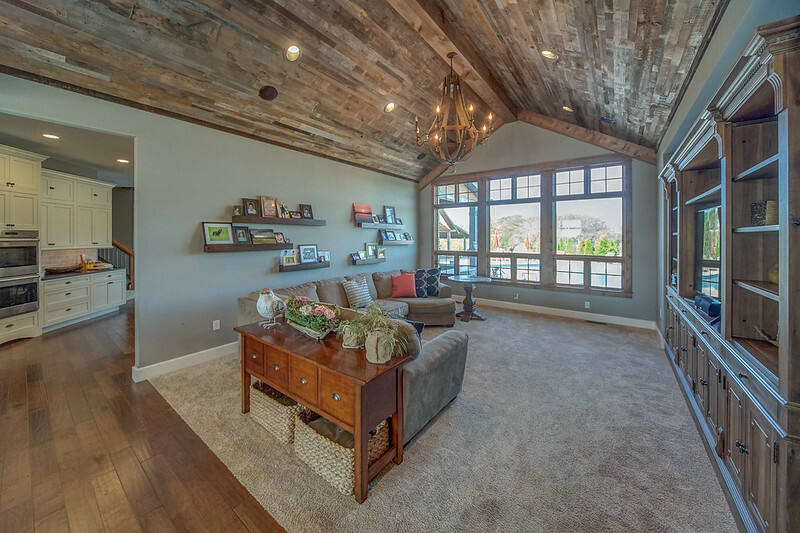 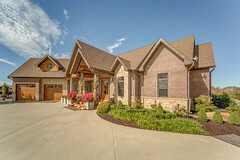 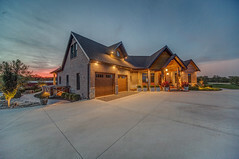 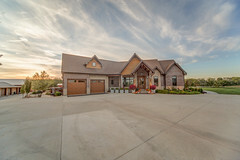 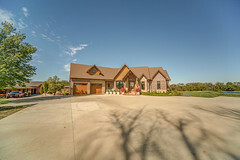 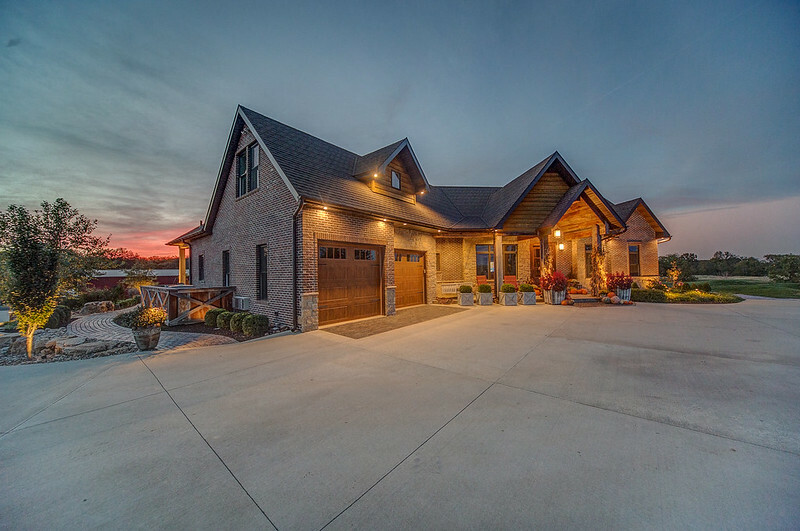 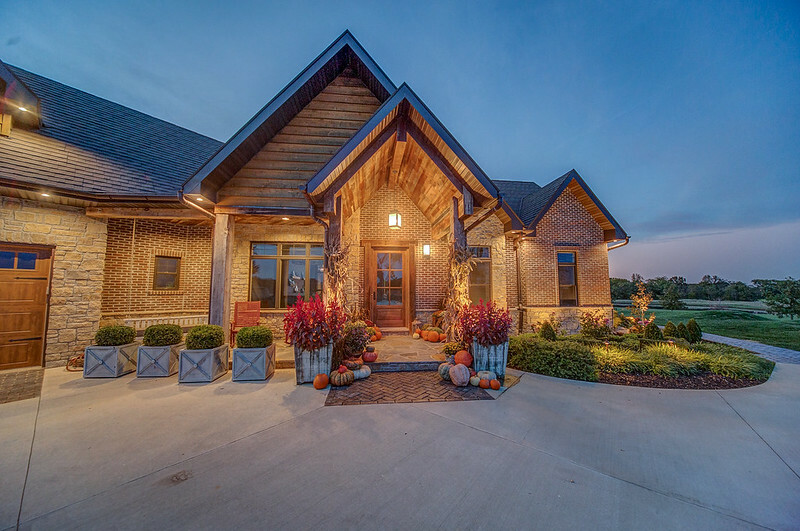 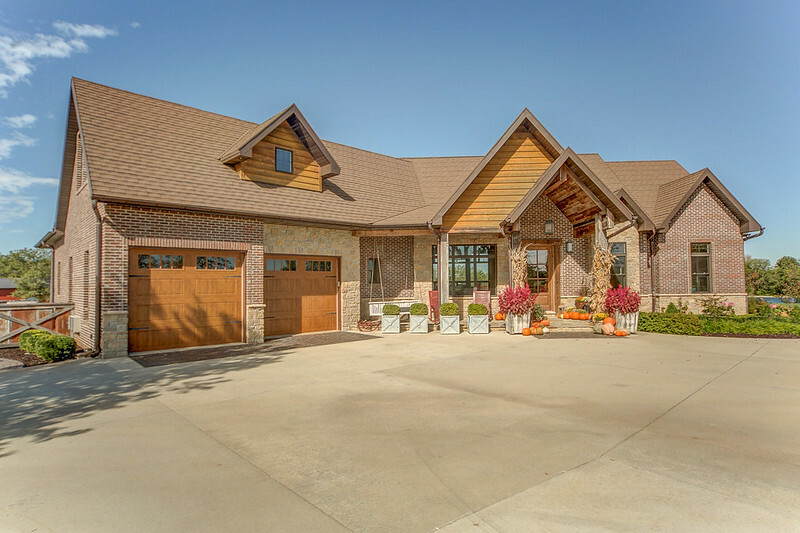 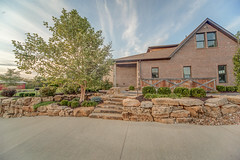 This is a custom one of a kind home with so many details throughout to make it truly impressive. 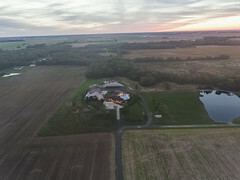 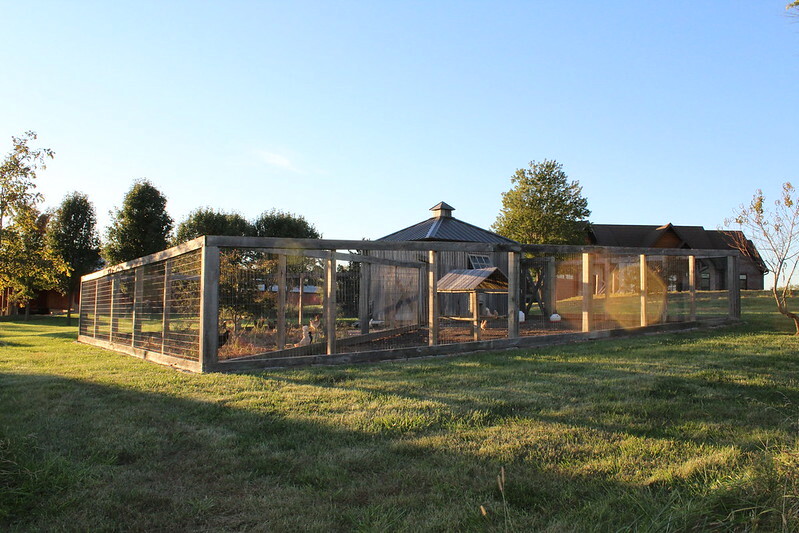 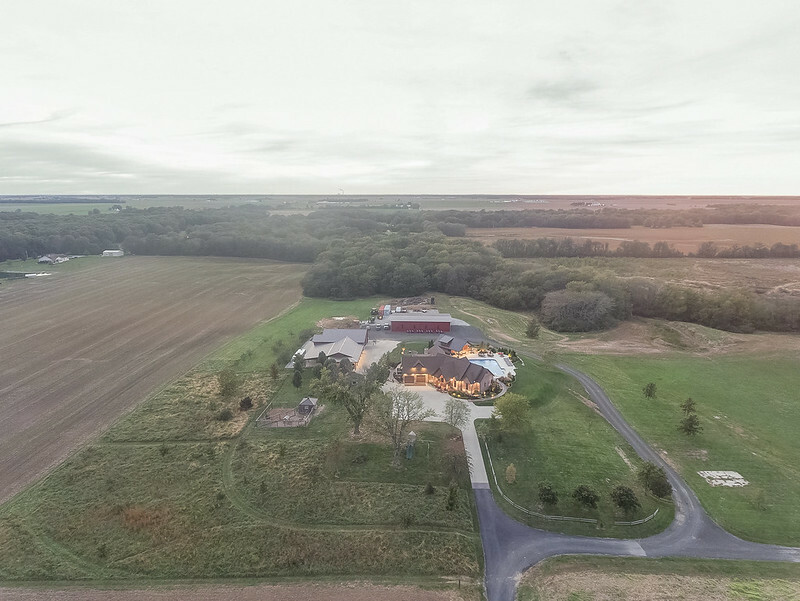 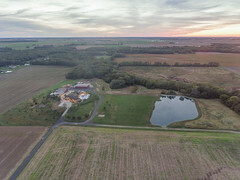 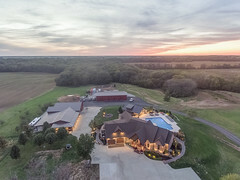 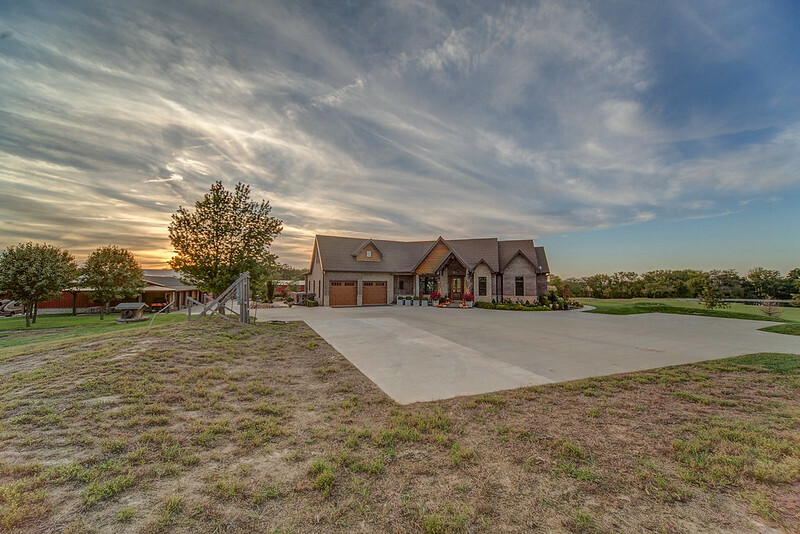 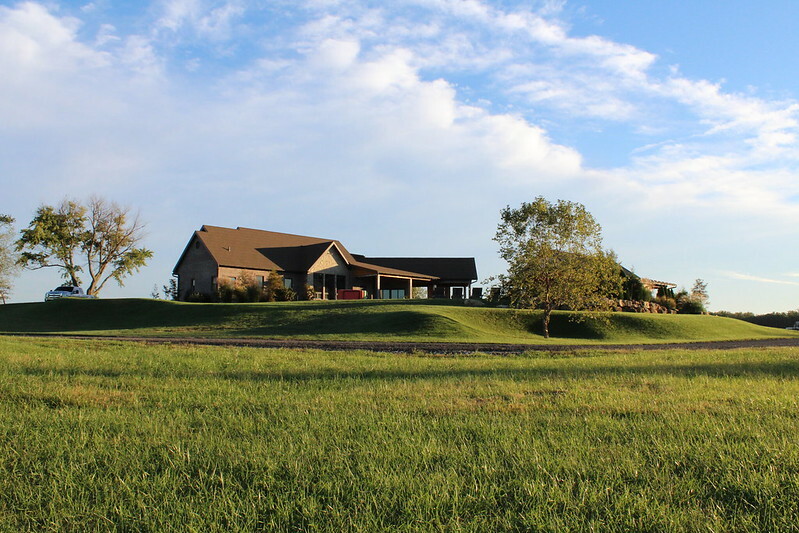 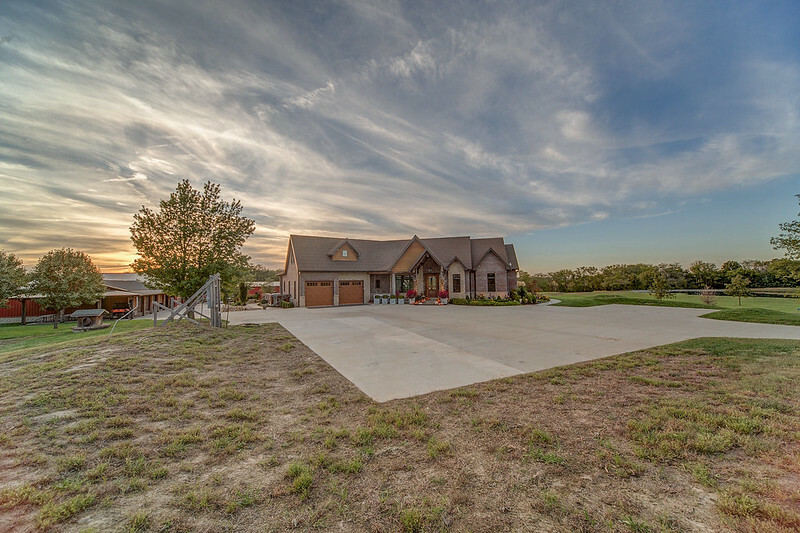 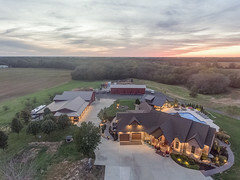 To go along with the fantastic home is acreage and outbuildings. 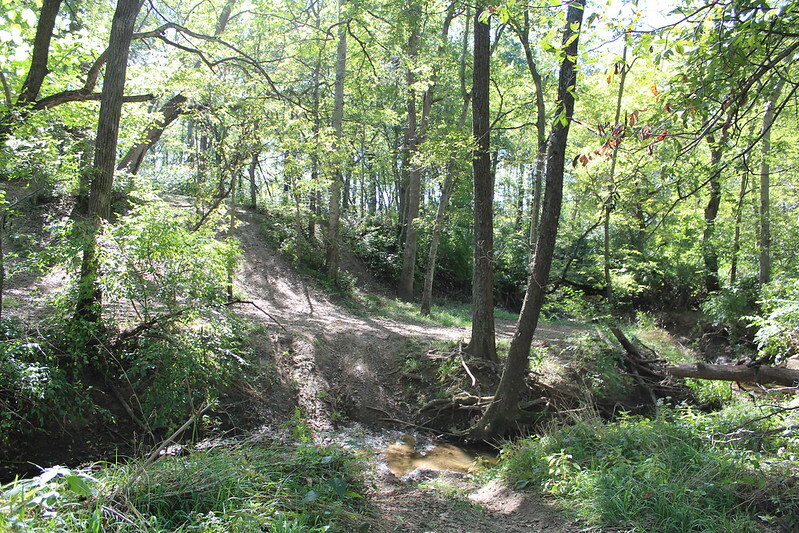 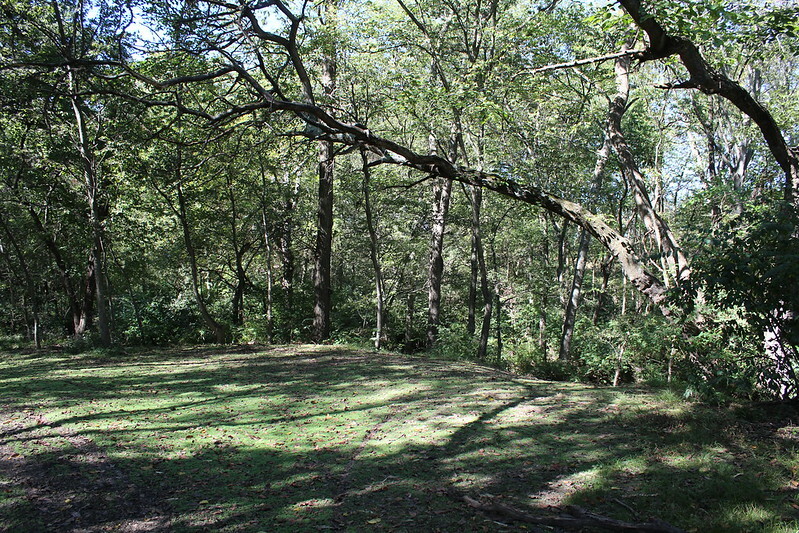 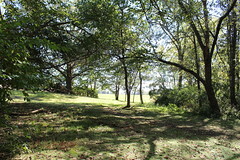 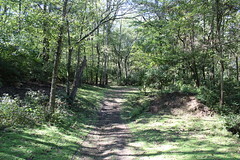 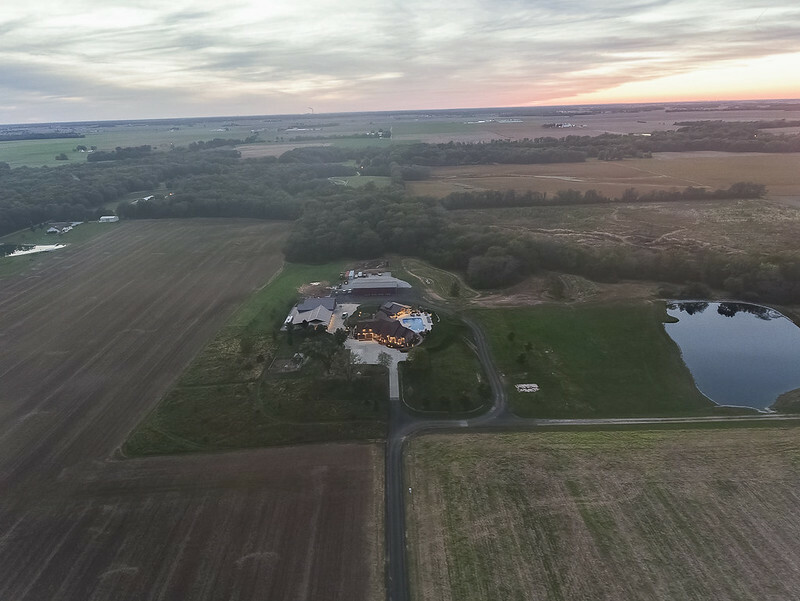 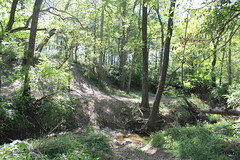 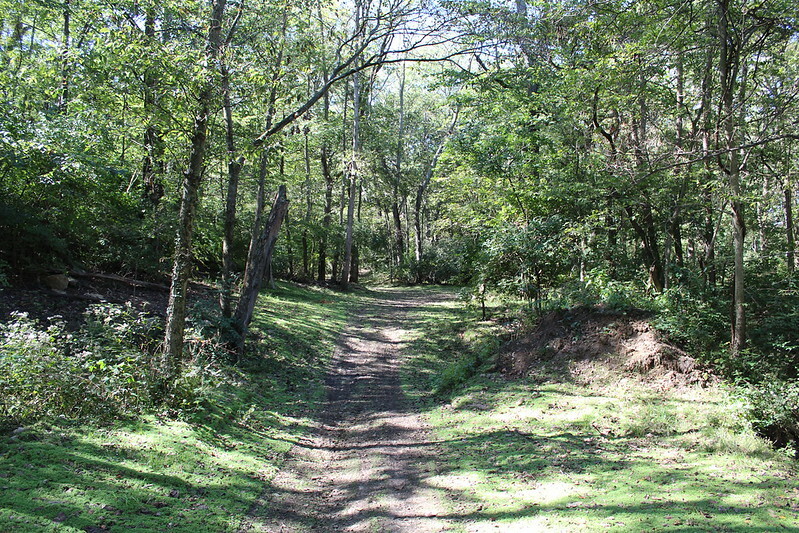 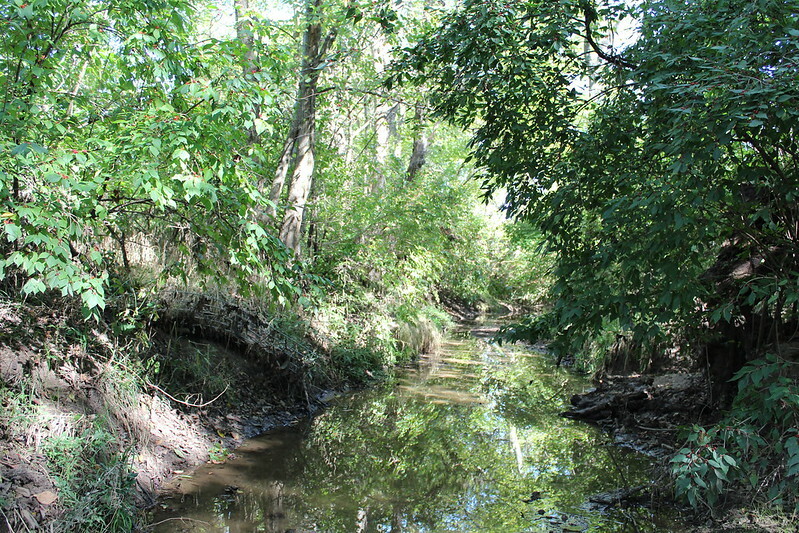 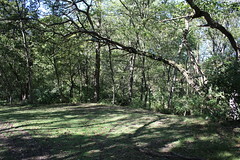 This 51.5 acres is located just outside of small town USA and is a good mix of open land that has been in the tree program. Currently set up to be the perfect ATV playground for the family. 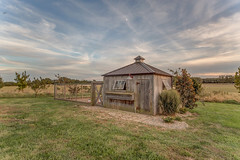 The outbuildings are large enough to store most toys. One of the buildings offers an inviting environment along with porches and detail plus there is a loading dock. 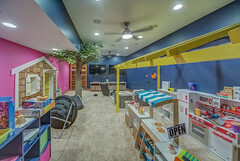 Another is set up to be a fantastic shop that is aesthetically pleasing also. 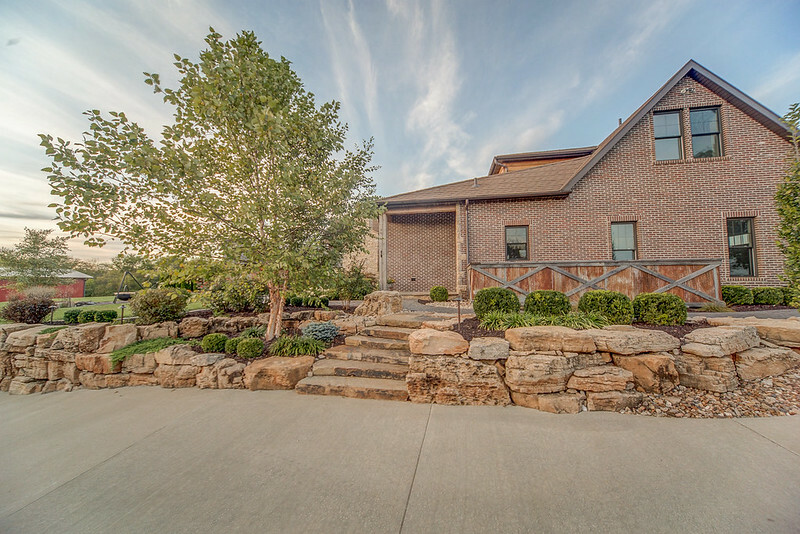 Directions: Take Black Diamond Rd south out of Nashville, follow for about 2.3 miles, driveway is on the right. 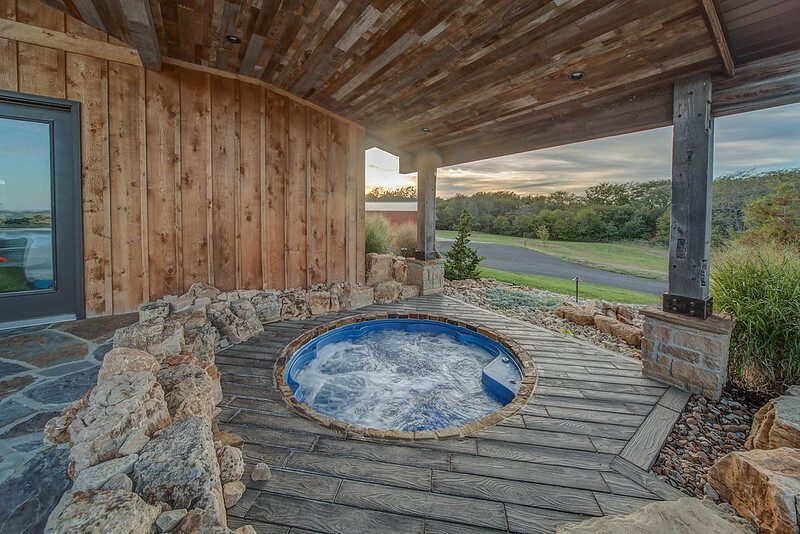 Viewing by appointment only, for qualified buyers.